With school starting and all the craziness ahead of us, it’s nice every once in a while to get a break. Owen’s birthday is coming up next week but we decided to let him celebrate a little early since we had a quiet weekend. As I said, it was a break weekend so it was a quiet one. We did our usual weekend routine followed by an early birthday present. That pretty much sums up what we did with the rest of our day. Hey, we have to take advantage of lazy time when we actually get it. Things will get back to our regular crazy routine next time. 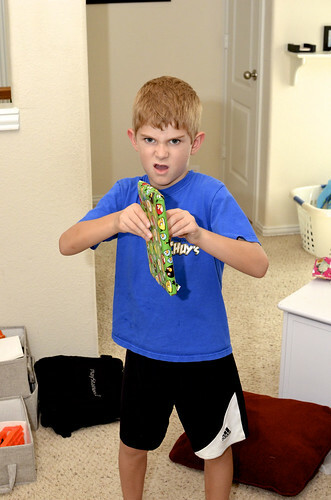 If you want to see a couple more photos of Owen opening his gift (or one of him showing off some gross teeth) you can click here. Otherwise we’ll be back next time!